Music Time! of Milford offers Music Together® in MILFORD and BRIGHTON. Our classes are for children ages 0-5 and their caregivers. Classes meet once per week for 10 weeks (Fall, Winter & Spring). We learn 25 songs, sing, dance, and play instruments. Included in tuition, each family receives a songbook, a CD, and access to the Family Music Zone - a place to download music as well as other fun activities! 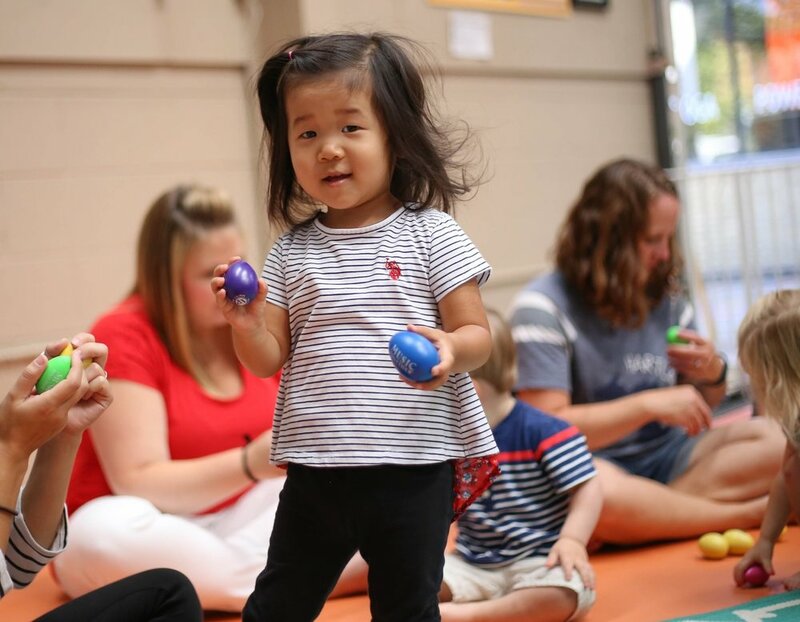 Music Together® is an internationally recognized early childhood music program for infants, toddlers, preschoolers, kindergartners, and the adults who love them. This program pioneered the concept of a research-based, developmentally appropriate early childhood music curriculum that strongly emphasizes and facilitates adult involvement. In a Music Together® class, you will have fun singing, dancing, playing, and bonding with your child(ren). It's an experience like no other! Attend a class and learn what Music Together is all about! Click HERE to send us your email address and we'll get back to you with available demonstration classes. Many people mistakenly believe that only a talented few are musical and the rest of us are doomed to sing out of tune and dance with two left feet. In fact, when given a supportive music environment, children learn to sing and dance as naturally as they learn to talk and to walk. When attending a family class, parents will enjoy hearing their children sing and dance and many will notice that their child seems more confident in themselves. Making music with your child can be a bonding experience like no other - and it isn’t limited to the classroom! Attending a Music Together class will show you how enriching music can be to everyday life for you and your children. Come join us!